Fred. 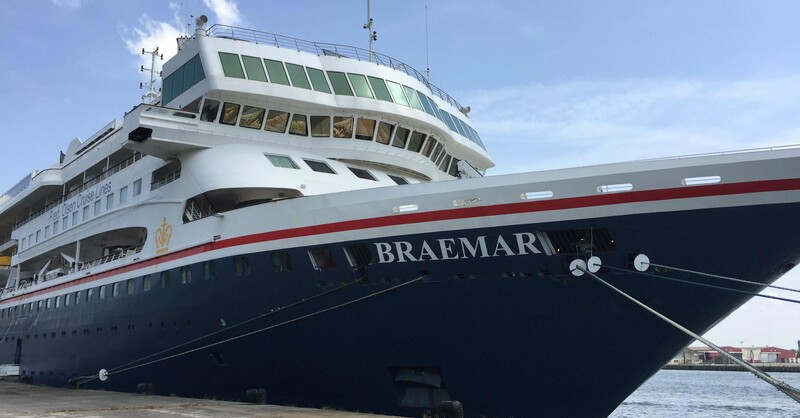 Olsen's Braemar has been recently refurbished (November 2017) and we wanted to see how the ship looks following its spruce up. We're delighted to report that it's keeping up with the Joneses in terms of appearance -- new carpeting and soft furnishings, updated lounges and a more modern buffet -- while maintaining its low-key atmosphere and catering to the 60-to-80-year-old demographic it knows so well. However, I don't fit into that typical passenger demographic, both in terms of age (33) or nationality (American). I have to admit I was concerned that I might be bored or feel out of place on a vessel meant for Brits of a certain age. But I needn't have worried. Find out why this ship is just the right size and mix of relaxation and entertainment -- for any age (or nationality). Due to its small size, Braemar incorporates the best of both river and ocean cruising. The ship is large enough to depart from central ports -- such as Southampton -- used by bigger vessels, but it's small enough to tie up in ports that are inaccessible to larger ships. In fact, cruisers on this sailing found themselves in Rouen next to a couple of riverboats, including the likes of U by Uniworld's The B (ironically designed for a millennial crowd). And, while Braemar is an oceangoing vessel, it's not flashy. You won't find go-karts, mobile phone apps, surf simulators, arcades or waterslides. The "casino" consists of two gaming tables stuck near the cafe almost as an afterthought, and neither of the onboard show lounges would be considered a theatre by mega-ship standards. 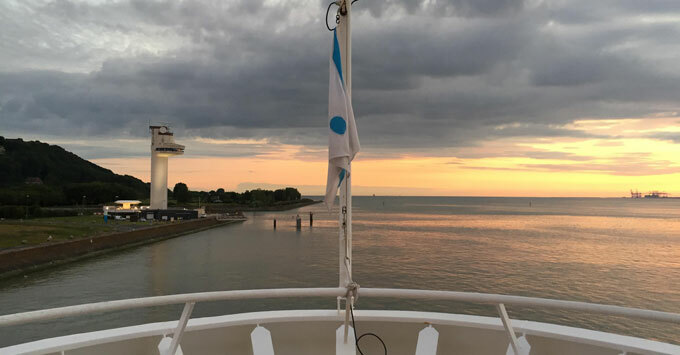 Braemar's eight decks make the ship less than half the size of some of the latest vessels afloat, but that also means there's less to divert your attention while you're sailing. With live music, nightly performances, twice-a-day quizzes and a well-stocked library with books and board games, there's just enough to occupy your attention without making you feel like you need a holiday after your holiday. Plus, for those uneasy about losing sight of land or those who fear withdrawal from their electronics, Braemar's river itineraries mean you're either docked or almost always in view of land. And with land comes mobile service -- a wonderful bonus for anyone who wants to stay connected without paying for an onboard internet package. Although river cruises attract a larger number of retirees than they do millennials, I've routinely found myself far more exhausted after river cruises than after ocean ones. (The proximity of ports means it's not uncommon for passengers to visit more than one place per day, which can also mean multiple shore excursions that leave you dragging by dinnertime.) Although Braemar is able to call on river ports inaccessible to larger ships, it seems to focus more on quality than quantity -- that is, staying in one place for 24 hours or more, rather than calling on multiple ports in one day. Everything from tours to onboard life moves at a slower pace, and it's -- dare I say it -- refreshing. I don't feel rushed anywhere, whether it's at dinner or through the meandering pathways of Monet's gardens while on a shore tour. Whatever age you are, the atmosphere is friendly; passengers are good-natured with a sense of humour. The ship is small enough that you'll see the same people over and over, so it's easy to make friends. I discovered this when a woman on one of my tours recognized me as "the one sitting alone in the dining room" and invited me to sit at her table for dinner. What I've found in my fellow passengers is a group of mature cruisers who are still young at heart -- people with a neverending passion for travel and learning and being involved. People who strike out on shore excursions with canes, despite their limitations and retort with comments like "Well, it's not like I'm going to run away, is it?" when asked by port security to "wait right here" with their walkers. While I retired to bed before midnight, two new friends from last night's dinner table told me on the port shuttle bus this morning that they were out dancing until well after 1 a.m. because "Somebody's gotta do it!" One of the biggest criticisms cruises receive is that they don't provide travellers with more than a few hours to get the flavour of the places they visit. 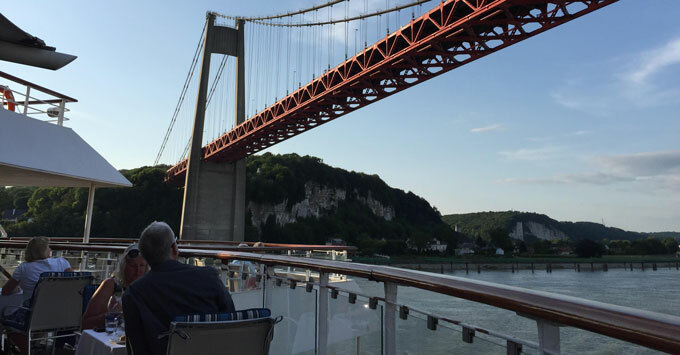 Braemar however, does the opposite: It spent more than 48 hours in Rouen, offering passengers plenty of time to take tours, explore on their own and even get a taste of French nightlife -- whether in Rouen or Paris. Now, in keeping with its "don't rush me" attitude, it's slowly gliding along France's Seine en route to Honfleur, where it will spend nearly 24 hours. These extended stays are great, both for OAPs, who might need additional time to navigate popular sites, and younger generations seeking "authentic experiences" that allow them more than just a surface look at the places on their travel bucket lists. Unfortunately, cruising still hasn't shed its gluttonous reputation, but it's difficult to overindulge on Braemar. The recently refurbished buffet area is modern, but it's tiny, meaning there's enough choice to keep passengers happy, but there aren't so many options that you'll find yourself heaping up six plates just to try everything. Combined with the fact that food is well prepared and reasonably balanced in terms of nutrition, this is good news for anyone who's health-conscious. Additionally, I was shocked to discover that there's nothing to eat between 3 p.m. when lunch ends and 6:15 p.m. when dinner begins. I admit it was an adjustment. On the first day, starving after boarding and checking out the ship from bow to stern, I headed to the buffet around 3:30 for a snack before dinner, only to find that it was closed, with the exception of self-service tea and coffee. So what's a hungry cruiser to do? Check out some of the for-fee chocolates at the cafe, of course! For Brits, tea is life. For millennials, tea is trendy. For everyone, tea is just so darn good -- especially when one of Braemar's delicious and generously portioned scones is involved. Besides the aforementioned chocolate, this was my rumbling tummy's "no other choice" solution to the lack of food on embarkation day afternoon. In addition to the daily cream tea mentioned above, as expected, there's tea with breakfast, lunch and dinner, as well as between meals at the Bookmark Cafe (added fee) and Palms Cafe buffet. On sea days, a proper for-fee high tea is featured, and each sailing also hosts a tea dance with cakes, tea and, of course, dancing. 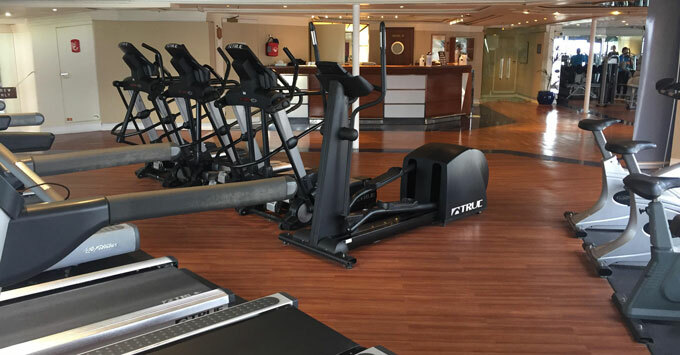 Braemar's fitness centre is considerably large and well equipped for a ship of this size. Classes offered are on par with the passenger demographic, featuring restorative and low-impact diversions like stretching and yoga, and the fees are about half the price of what you'll find on vessels in most other fleets -- ideal for cruisers of any age who just want to relax, restore or practice mindfulness. However, the centre is also open 12 hours a day for general passenger use, and you'll rarely, if ever, have to wait for a machine. I certainly don't expect Fred. Olsen sailings to be overtaken by the millennial crowd any time soon, but what I found is many of the same things valued by seniors are also valued by younger generations, and they're offered onboard. Braemar is simple. It's quiet. It takes its time. And that's totally OK.